Hyperpigmentation is darkening and discoloration of the skin, often due to higher than normal levels of melanin, the chemical that gives skin its pigmentation. It’s one of the most common skin impurities affecting both genders and usually worsens with age. Hyperpigmentation can be used to describe brown, red, pink or even purple-looking spots. Areas of the skin affected will appear darker than the rest of the skin and may become even more noticeable with sun exposure. Increased melanin can occur in the epidermis layer of the skin, the deeper dermis layer, or both. Some discoloration will go away on its own with time, such as mild acne marks or some freckles. A but other types might require more intensive hyperpigmentation treatments to fade. 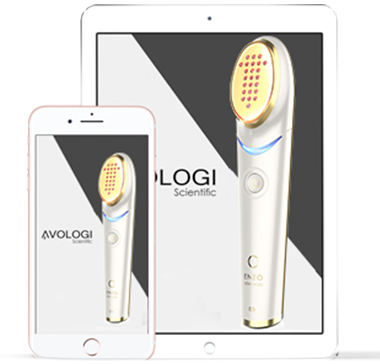 Avologi's medical devices light-based treatments diminish the appearance of hyperpigmentation by regenerating collagen and elastin and balancing melanin level. Avologi's medical devices are FDA cleared, non-invasive and effective starting the first treatment.